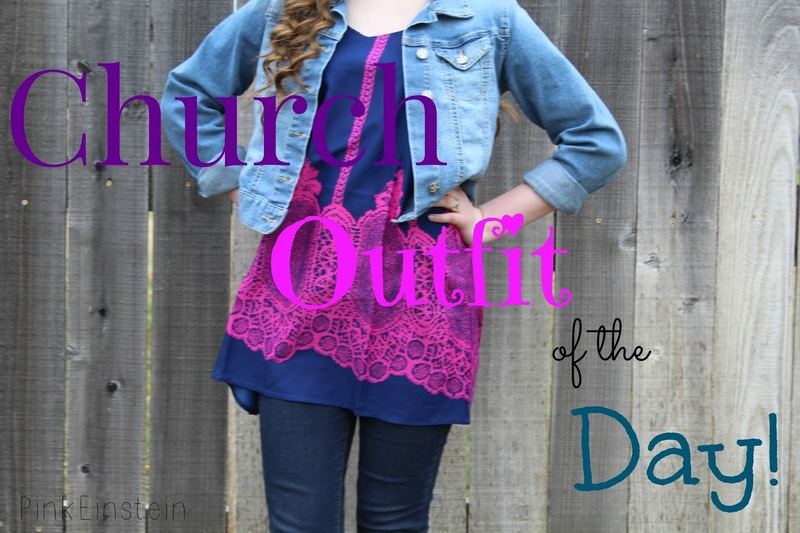 Life as Pink Einstein | Dallas Fashion and Lifestyle Blogger: Church Outfit of the Day! Church Outfit of the Day! 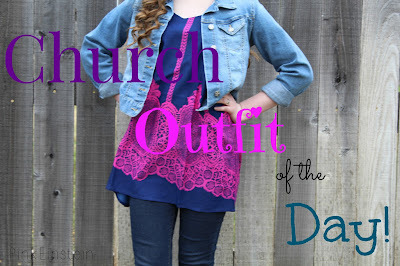 Today I'm going to be giving you some church outfit inspiration! 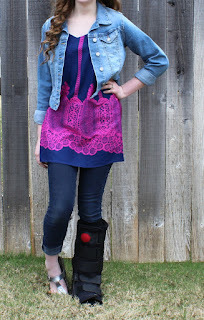 This outfit is also perfect if you are on a budget because all of my pieces were inexpensive! So here is my full outfit! I'm wearing a blue jean jacket which is the most expensive thing in the whole outfit and that's because I got it at Dillard's but you can find them almost anywhere (thrift stores are a good place to look). My top is from Five Below and cost me $5!! The top is kind of a weird length where it's too short to be a dress but too long to be a shirt so it would also be cute to wear with leggings. My jeans are from Forever 21 and cost $7.90 which is an amazing price and yes, I know what you are thinking, Forever 21 quality can be questionable, especially for these jeans being so cheap but honestly, these are some of the longest lasting jeans I've owned! I have had them for two year and they still look amazing and I just recently order a new pair because I love them so much! My shoes are kind of hard to see but they remind me of a rubber/plastic version of Birkenstocks. They are super cute sandals and I got them at Five Below for $5! And the boot is a one of a kind designer boot straight out of the doctors office ;).So depending on where you get your jacket, the price may change but not including the jacket this outfit cost $17.90 (before tax) which is crazmazing (yes I did just make crazy amazing one word, don't judge)! !